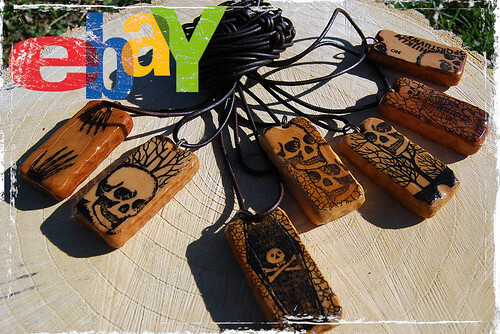 Be sure to stop by our eBay Shoppe as we have just listed a new batch of handmade, dark art pendants. All auctions start at just $9.99 which is over half off our regular Shoppe prices. If you get out bid or can’t wait until the auction ends stop by our Etsy Shoppe and add that desired piece to your collection today.